Our companion seats are 32 dns gray hard or soft gray sponges. On the upper arms, 3 cm gray hard sponge or 2 cm bondex sponge is used. Skeleton: In our companion seats we use 20 mm × 20 mm, 20 × 30 mm, 20 × 40 mm, 20 × 50 mm iron profiles with 1.2 mm wall thickness. For maximum durability and efficiency, they are welded horizontally at some places and at some places. 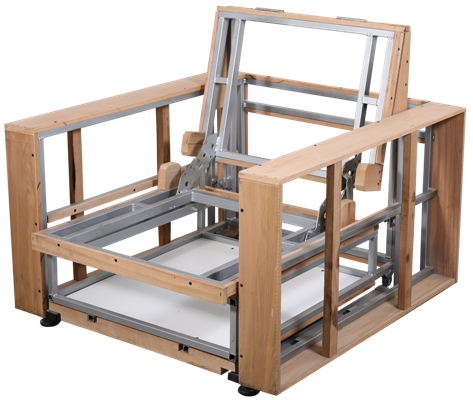 In the case of box corners and lath equipments, high efficiency was obtained as a skeleton by using a baked hornbeam tree. In addition, 60% more iron profiles were used in the armchair frame to provide double skeleton formation, and in this sense, it was possible to make folds and folds more quality and sound than similar products. Fabric: Our companion seats are fully fabricated fabrics and leather as flooring fabric and leather. The bottoms are selected from those with fiber and lining at the bottom and are laid out among the artificial leather. As for fabrics, we have been choosing among the products of the company we have used for years. It was already fitting to our seat with a scaffolding and quality materials. In addition, cleaning our fabrics is easy to wear and resistant to bumps.